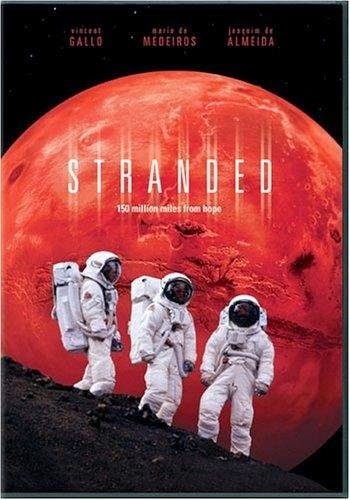 Stranded (original title in Spanish: Náufragos) is a 2001 low budget Spanish movie about struggle for survival of 5 astronauts stranded on Mars. Not all of them survive till the end. The movie starts with Mars landing craft crashing on the surface of the planet along with 6 astronauts. The captain of the crew is dead and the remaining 5 are trying to figure out how to survive till the rescue mission could hopefully arrive 26 months later. The resources of food, water, oxygen and energy is limited and the only "solution" seems to be to let survive only 2 of them. So the 3 "expendable" ones are going for a "walk". 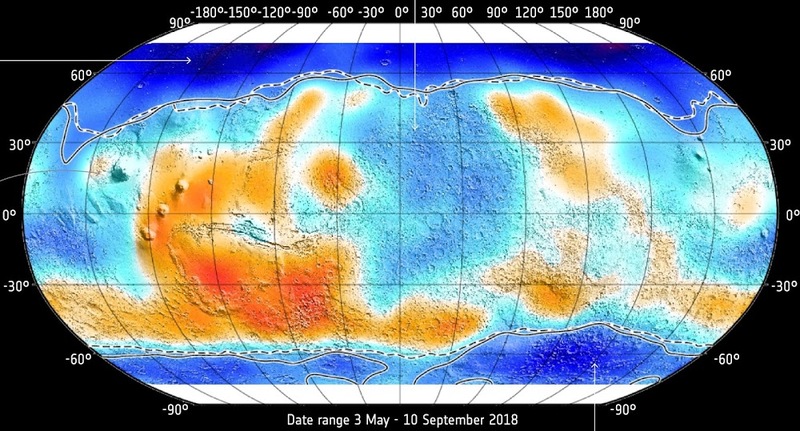 They reach the edge of the Valles Marineris and descend down. When only 2 of them are left they discover a cave which unexpectedly turn into ancient Martian tunnels with oxygen in them. An unfortunate step into "wrong" tunnel kills 1 of 2 remaining ones. The last surviving women discovers the dead bodies of local Martians and their somehow pressurized (with no visible roof) oasis / ghost town into the depths of Valles Marineris. So she calls the other 2 which had stayed in the landing craft to come and join her. Hopefully they will survive till the rescue comes. the acting is very poor. You don't get the feeling that characters are actual top-level astronauts/scientists which had been carefully chosen to be the first humans on Mars. Dialogues are clumsy and, despite the movie being quite depressive, the actors don't believably act as being hopelessly stranded millions of miles from Earth with possible rescue coming only years away at best. Despite that, the concept of the movie is quite interesting (unlike some recent Mars-zombie movies like The last days on Mars with a bigger budget) and Stranded is worth watching for Mars fans.